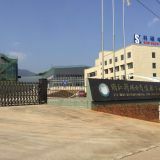 Zhejiang Keshuo Electric Co., Ltd. Wooden box packaging or according to customer requirements. 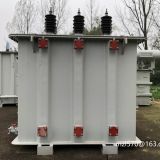 The resin-insulated dry-type transformer is a safe, fire-retardant, fireproof, pollution-free transformer directly installed in load center. 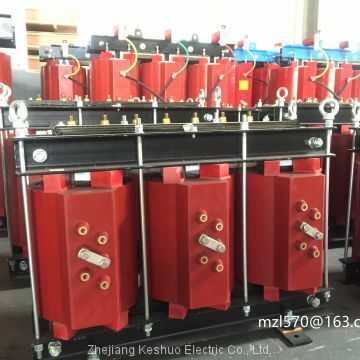 With the improvement of people’s living condition, the urban and rural electrical load increases continuously, and the oil-free, fireproof, safe, and reliable dry-type transformer with a long service life and simple maintenance has been applied more widely. 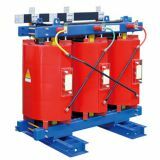 This new transformer is independently developed by the company and designed and produced in strict accordance with national standard with the latest technology of Germany. The resin-insulated dry-type transformer is a safe, fire-retardant, fireproof, pollution-free transformer directly installed in load center. 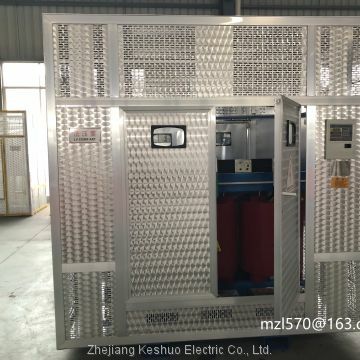 With the improvement of people’s living condition, the urban and rural electrical load increases continuously, and the oil-free, fireproof, safe, and reliable dry-type transformer with a long service life and simple maintenance has been applied more widely. 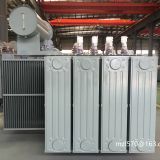 This new transformer is independently developed by the company and designed and produced in strict accordance with national standard with the latest technology of Germany. 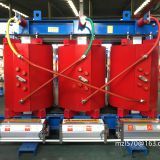 Owing to the adoption of German filling-included vacuum casting technology and the introduction of “positive-pressure-casting” new process technology, the reliability, fire resistance and humidity resistance of the product are further improved, the coil surface doesn’t need painting and grinding, and the insulating property of the product is greatly increased. 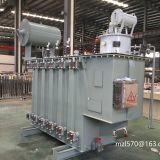 The resin-insulated dry-type power transformer mainly applies to hotels, high-rise buildings, business centers, residential quarters, stadiums, factories, airports, ports, subways and mines underground, etc, and is especially suitable for the areas with special fireproof requirements, for example, limited installation space and load center of cities and towns. 1. The coil is resin-cast, with good overall mechanical strength, thus improving the ability of the transformer to withstand the short circuit. 2. 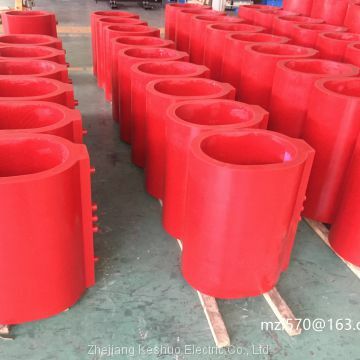 With very good humidity resistance and corrosion resistance, the product is especially suitable to work in extremely harsh environment, and may be put into operation again without drying after stopping operation. 3. Low partial discharge and long operation life. 4. Free from oil and pollution, fire-retardant, flame-retardant, self-extinguishing and fireproof. 5. Convenient installation, free from debugging and maintenance, and low operation cost. 6. Perfect temperature protection control system provides reliable guarantee for the safety of transformer. 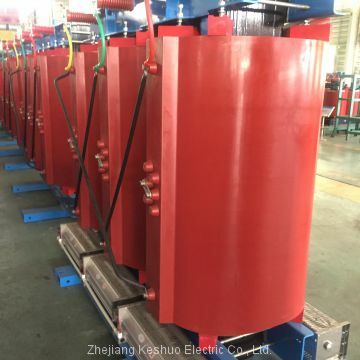 To Zhejiang Keshuo Electric Co., Ltd.
INQUIRY ABOUT 2000kva Dry type cast resin transformer 6kv to 33kvZhejiang Keshuo Electric Co., Ltd.